Win a holiday for a little girl with cystic fibrosis! The original inspiration for that collection of stories – and for doing something to raise funds for CF in the first place – is a little girl called Tilly. She has a chance to win a free holiday with her Mummy and Daddy next year, but she needs your help. It’s very easy and will only take 2 minutes of your time. Step 2. 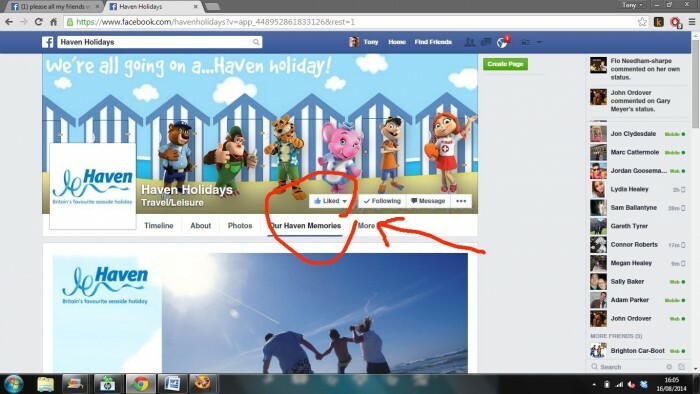 LIKE the Haven Facebook page (you can always UN-LIKE it later). Step 3. 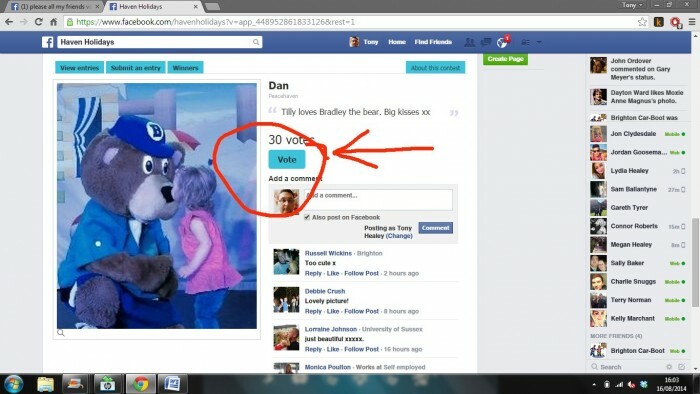 Scroll down on the FB page and hit the VOTE button. Of course, if you wanted to be super-duper cool you could also share the above link and get your friends to vote too. In fact, here’s the link again in case you want to do that: http://havenholidays.offerpop.com/campaign/649927/entry/4270902. I’d like to see Tilly reach 1000 votes and take first place. 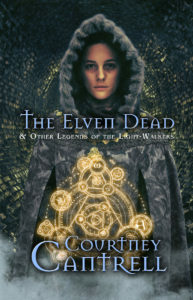 I’ll also be promoting this via my Official Facebook Page, too, which is: https://www.facebook.com/fringescientist?ref=hl. Thanks for your help and support. Let’s win this brave little girl a holiday. So there you have it, folks! Go place your vote for Tilly and help send her and her family on a lovely vacay! This entry was posted in Inspiration, Writing and tagged Cystic Fibrosis Trust, Edge of Oblivion, Haven Holidays, Kindle All-Stars, Tilly, Tony Healey.